I used the electric pressure cooker for this and it was great. I marinated the pork in apple cider vinegar and adobo seasoning overnight. I browned it in the pressure cooker, than cooked on high for 45 minutes, using the liquid from the marinade and enough water to come up to about 1/2 of the pork loin. Once it was finished, I released the pressure, shredded the pork, added about 1/2 cup of Baby Rays Sweet and Spicy BBQ sauce and turned on the slow-cooker feature and let it sit uncovered for 2 hours until company arrived. If you don’t have time for the slow-cooker, turn up the heat and let the liquid reduce by half before adding BBQ sauce. I saw a similar recipe when looking for cooking times for the pork. And it was a great addition to the pulled pork sandwiches. Mix all ingredients together and let set for at least 2 hours for flavors to meld. 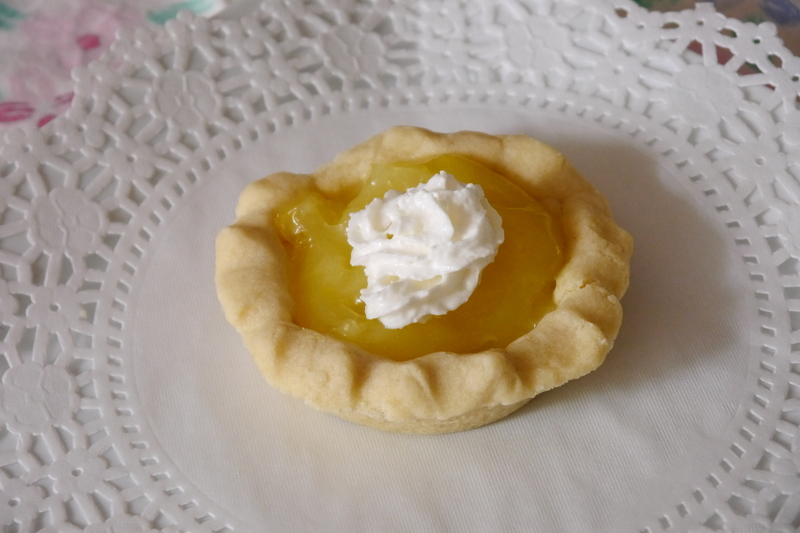 When I was in Paris I was on the hunt for tarts – specifically lemon tarts and strawberry tarts. Strawberries were out of season, so I had to settle for raspberry. The lemon were by far my favorite. They had a shortbread tart (the raspberry ones were pastry) that worked well with the tart lemon filling. Combine the egg yolks, sugar, cornstarch, water, lemon juice, lemon zest and butter in the top of a double boiler set over, but not touching, boiling water. Cook, stirring, until thick and creamy, about 5 or 6 minutes. Cool thoroughly before putting tarts together. Okay, so all the recipes for lemon filling wanted a double-boiler. I started with one, but after 5 minutes of stirring and not thickening, I changed over to a saucepan and whisked it for 5 minutes while it boiled and thickened and had no issues with it burning or sticking. High altitude may have been the reason for my original troubles. Water boils at a lower temperature here, so the double boiler may not have offered enough heat to thicken the sauce. Cream butter and sugar until fluffy. Stir in flour and mix well, then knead for 3-5 minutes until dough forms a ball. Press dough into mini-tart pans. Prick each with a fork . Bake for 15-20 minutes at 300° Cool thoroughly before assembling tart. To assemble – add lemon filling to each cooled tart. Top with whipped cream and serve with crushed raspberries. This made a lot of tarts, so I refrigerated half of everything and I’ll be making more for dinner guests later this week. Tonight’s recipe exchange is going to be a quick one. It’s been a stressful week – the little company I work with is downsizing (you can read about it here) and I’m busy helping them restructure. The weekend cannot come soon enough. Time to get out and ride and maybe do some gardening. Meanwhile, in the kitchen, it’s Blood Orange season and I thought I’d take advantage. I know we just did oranges, but that’s actually one of the reasons for tonight’s theme. 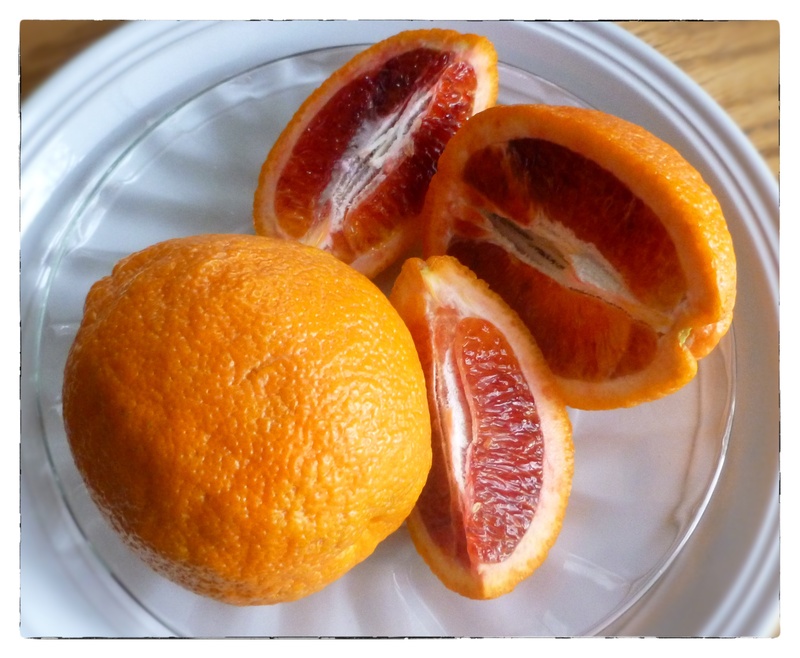 I received an email question about using blood oranges instead of Clementine’s in the Orange Bread recipe. That reminded me to go looking for blood oranges. Usually I have a difficult time finding them, but a new Sprouts Market opened in my neighborhood and they have a great fresh produce section where I’ve been able to find all kinds of fun stuff. Including some beautiful and flavorful blood oranges. If you haven’t ever had them, they are sweeter than navel oranges, a little bit of a raspberry flavor, I guess, to them. A nice mix of sweet and tart flavors. Here’s a bit of an explanation over at Sunkist. Really anything you do with oranges, you can do with blood oranges and get a really pretty display in the process. So with that, I have three recipes for you and, sorry, no photos, it took all the energy I had left just to put together the recipes. What’s going on in your kitchen this weekend? Anything fun? Anyone firing up the grill yet? This was originally meant for a firm white fish, but it works well with chicken, salmon and pork. So I thought I’d give you the basics and you can experiment with how you use them. If you can’t find blood oranges, you can substitute ruby red grapefruit, or use all navel oranges, maybe add some raspberries for a nice flavor. Warm honey and orange juice until the honey is completely melted. Stir in zest, pepper flakes, salt & pepper. Broil (set rack at second level from the top) or grill fish fillets, pounded chicken breasts or boneless pork chops, basting with the sauce and turning frequently until cooked through and glaze is carmelized. Top with salsa (recipe below). 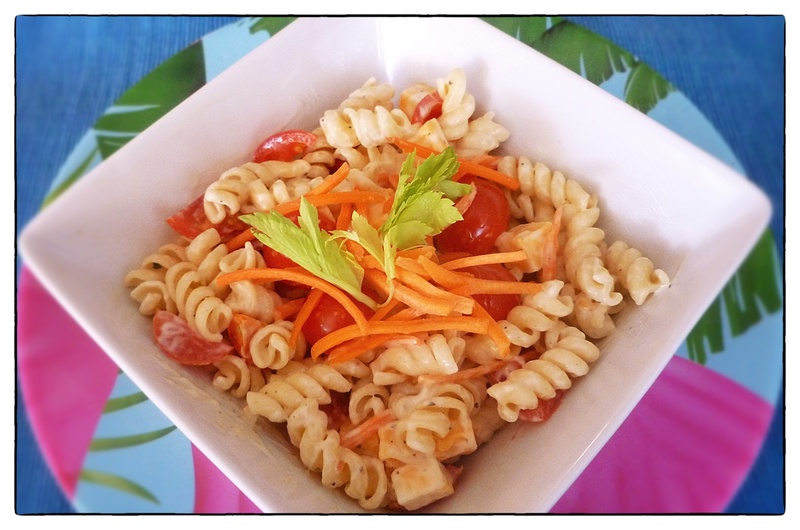 Mix all ingredients in a large bowl and set aside for about 30 minutes. And some more stuff, too! We pretty well decided that fried fish would be on the menu today when we found the last few frozen fillets in the freezer today. I wanted some coleslaw like you get at KFCs, and Google told me that there were recipes reputed to be the actual secret recipe. Many recipes, many different recipes. I stopped at this recipe because Squidoo has been very nice about using my pictures posted at Flickr and giving me credit. I was pretty slap dash building the slaw, didn’t measure anything. Used less than a whole head of cabbage and did the conversion math in my head. Also didn’t have any buttermilk, but since making your own buttermilk involves adding vinegar or lemon juice to milk I don’t think it really made much difference. 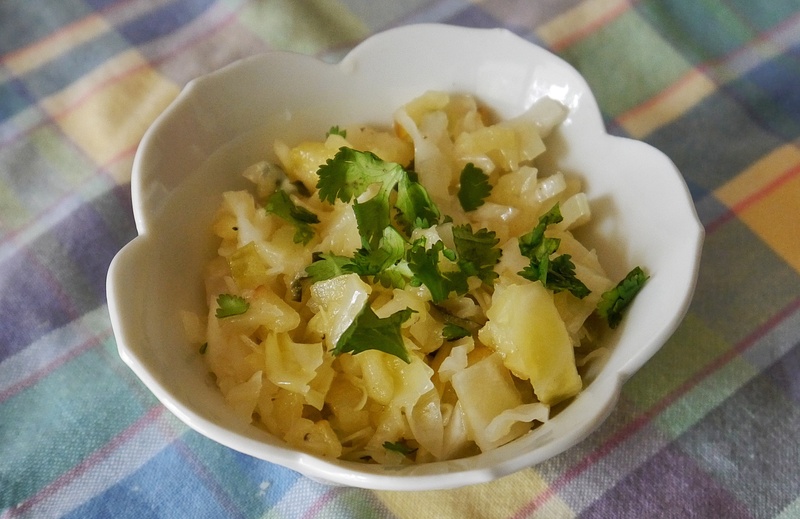 I used the food processor to chop the cabbage, carrots, and onion and then dumped those into a large bowl. The rest of the stuff I just eyeballed into the processor again and gave it a quick spin to mix and then poured it over the veggies. I used too many carrots, I think, but the slaw tasted very good, and seemed close enough to what you get at the fast food place. I’m going to call it a winner. Thawed some beans I made this spring for a Memorial Day picnic. Yum! A whole ‘nother post there. And the tartar sauce! Yummy! Nearly forgot the corn on the cob I had ready when taking my usual round of pictures, I did get it in there but it was hurried and the butter slid off before I got focused. Drat!